Many Singaporeans are choosing the convenience of buying groceries online, and it’s especially handy when you have lots to stock up on and can’t handle carrying it all yourself. So it comes as bad news that local delivery and concierge service honestbee is going through a temporary suspension of their partnership with NTUC FairPrice, and the platform’s users won’t be able to shop from the supermarket for the time being. However, for shoppers that need to get groceries online, there’s still RedMart. If you’re using RedMart, it would be important to take note that it’s moving onto Lazada’s e-commerce platform with effect from 15 March 2019. This announcement comes from Lazada Group on 31 January, as part of its plans to ramp up its supermarket business in Southeast Asia, and become “the region’s biggest e-commerce ecosystem”. Lazada had previously acquired RedMart in 2016, but is only now migrating the online supermarket service onto its platform. The company cites that “soaring demand” has recently taken rise, with Southeast Asia’s grocery market to be worth US$309 billion by 2021. 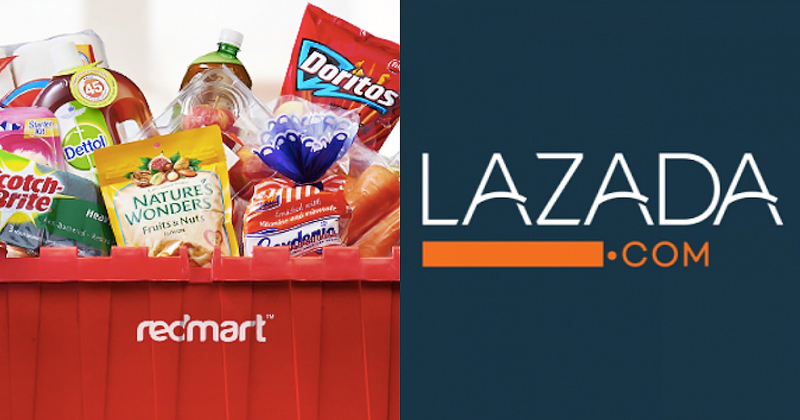 With RedMart on board, Lazada will carry “more than 165,000” grocery products on its site, letting shoppers buy supermarket items alongside its other product categories on one single platform. Lazada says customers can still expect similar design and tools, recreating the same browsing and ordering process as they had on the existing RedMart app and website. In addition to that, shoppers will be able to complete their transactions from other Lazada stores together with their RedMart purchases, and enjoy more payment options. RedMart orders made through Lazada will continue to be fulfilled by RedMart, within two-hour time slots that customers choose between 7am and 10pm, seven days a week including public holidays. As the move will take place at 12.00am on 15 March, shoppers can still buy through RedMart’s existing channels as usual till 11.59pm on 14 March, after which they will have to download the Lazada app. RedMart co-founder Roger Egan has been appointed Lazada Group’s Head of Supermarket, and is spearheading Lazada’s foray into the supermarket business. “RedMart’s move onto Lazada is just the first step in our ongoing journey to be a game changer in the online grocery market, and become the region’s most trusted supermarket and e-commerce platform as customers increasingly shop online,” says Egan. He will oversee the expansion of Lazada’s supermarket business, starting with “at least one other city” in the second half of 2019.